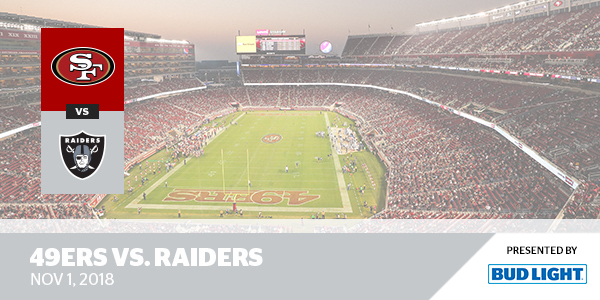 The 49ers will host the Oakland Raiders for the final “Battle of the Bay” in this form on Thursday, November 1st. Every guest in attendance will receive a rally towel. The game is presented by Bud Light. Will call is located at the Visa Box Office and opens at 1:20pm. 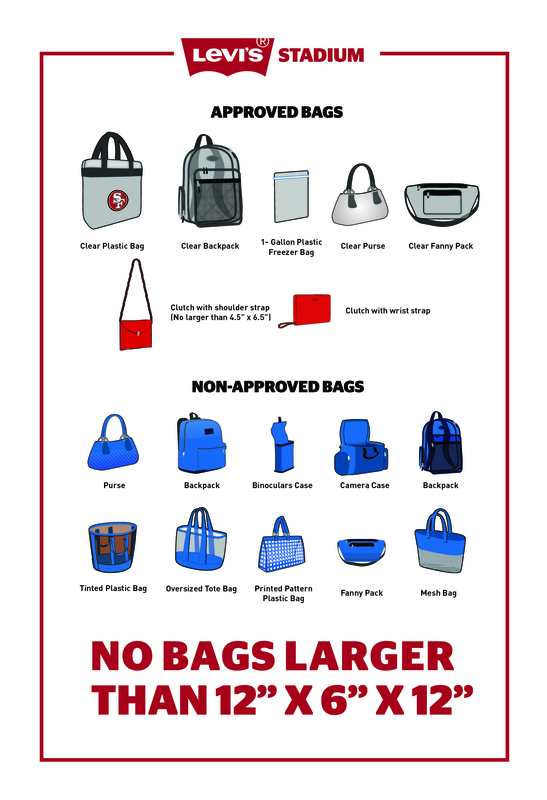 Walk-up tickets may also be available at the Visa Box Office. 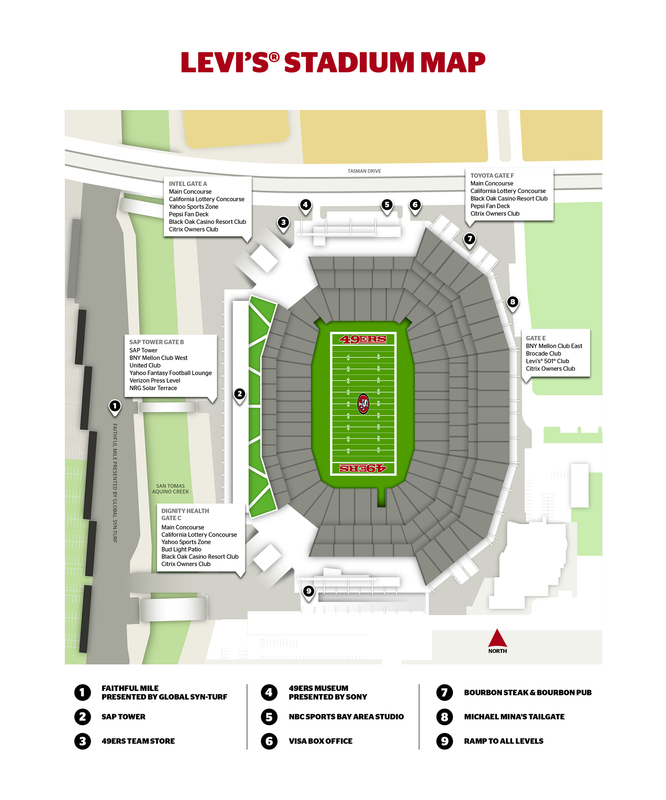 The Visa Box Office opens at 1:20pm and is located at the north end of the stadium inside Toyota Gate F.
Will call opens at 1:20pm and is located at the Visa Box Office. Did you know you’ll receive a $10 discount off the standard purchase price if you buy in advance on Ticketmaster.com? Parking lots are scheduled to open at 1:50pm and all guests must be in possession of a valid event ticket, pass, or credential to park in a designated parking lot. 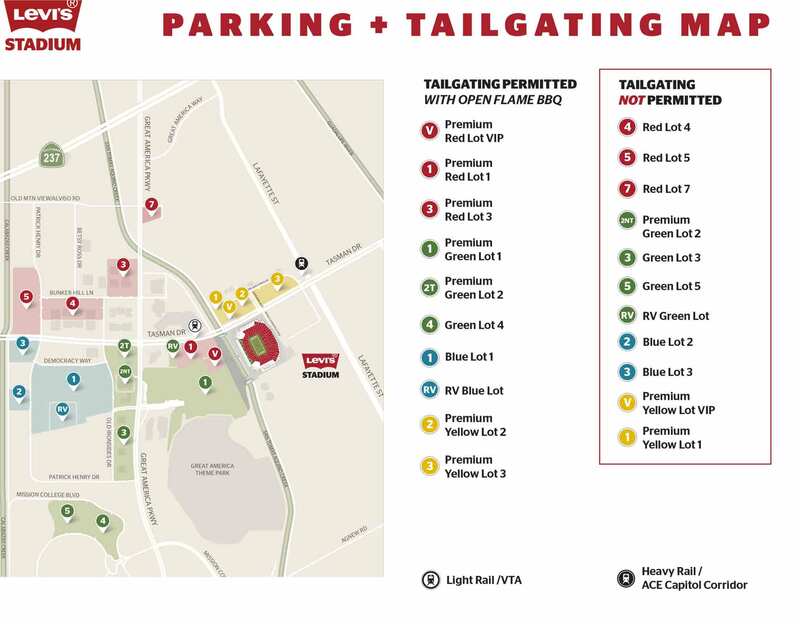 Mobility services will be onsite at 1:50pm to provide roving carts throughout Green Lot 1 for assistance to stadium gates. 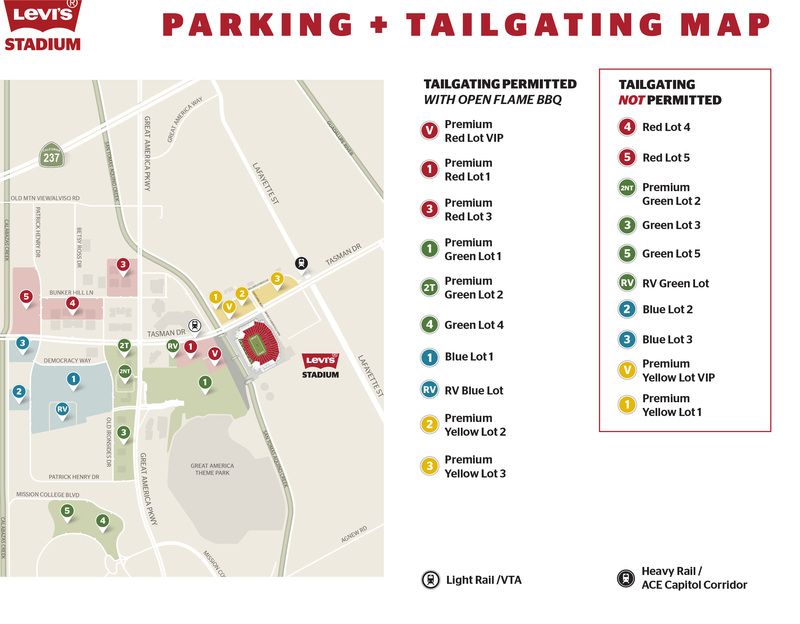 Bicycle parking will be located in Red Lot 1 and Green Lot 1 and opens at 1:50pm. All ticketed guests will be permitted the use of the San Tomas Aquino Creek trail beginning at 1:50pm. The Silicon Valley bicycle coalition will be administering this operation.